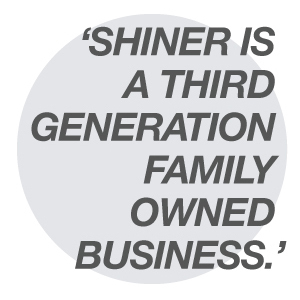 Shiner is a third generation family owned business. Charlie Allen took over the reigns as MD in 2014 with Chris Allen holding the role of Director with specific responsibility for Purchasing. Working closely with their respective teams, the management team bring (far too many) years of industry experience to the company.